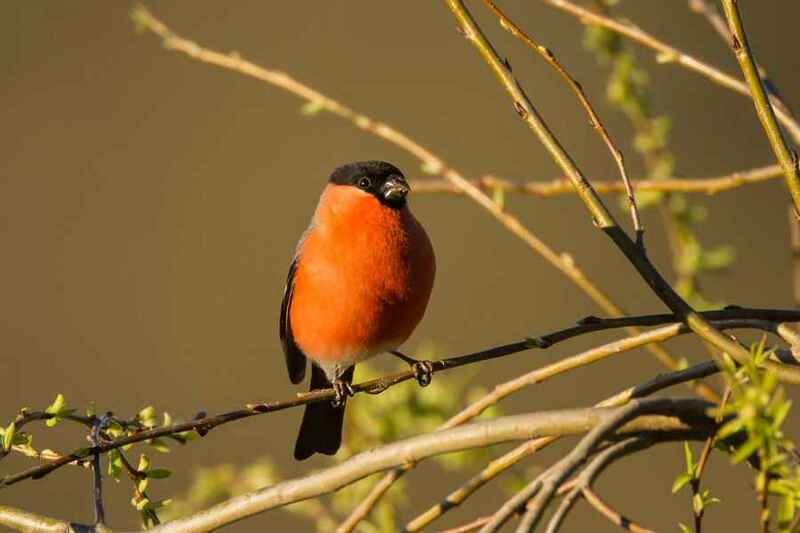 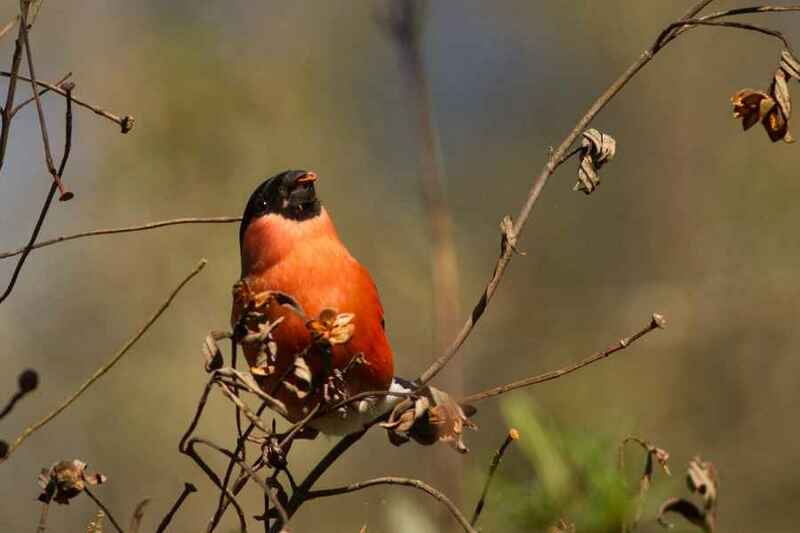 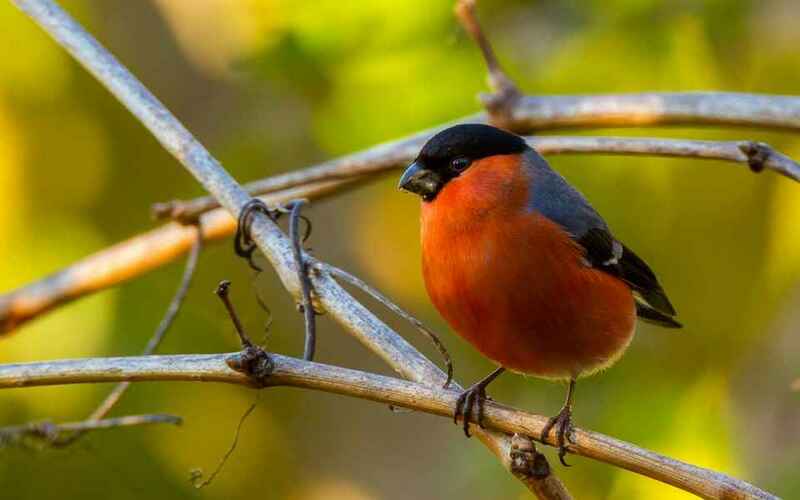 A winter visitor, Bullfinches are a plump black-headed bird that is unmistakeable. 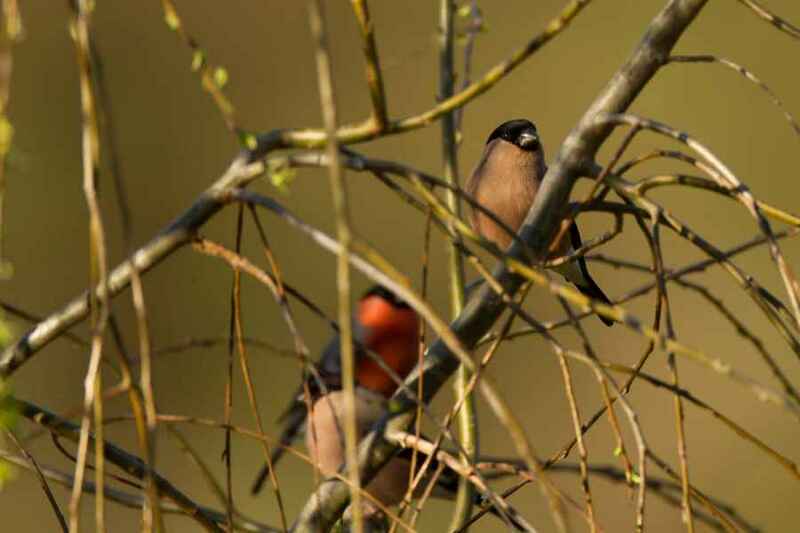 They forage in small flocks and, while the female is more cryptic than the male, having a grey-brown chest and belly and a blue-brown back, the male stands out brilliantly with his bright pink chest. 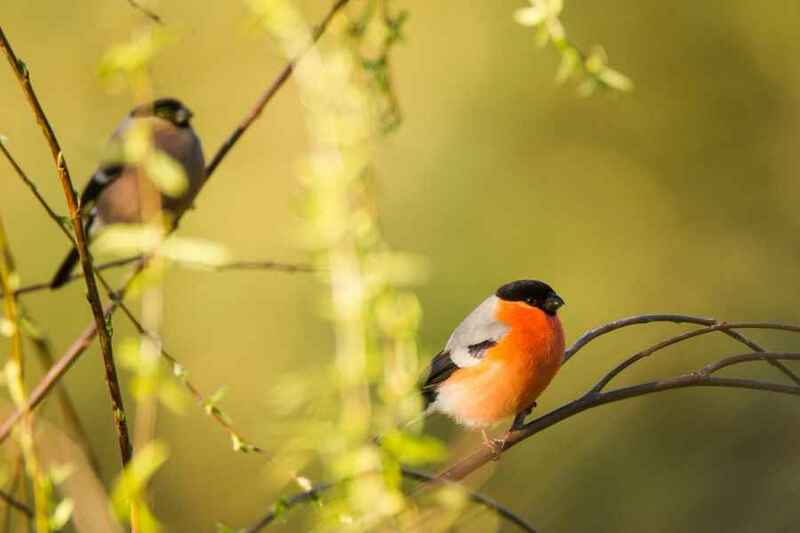 Both sexes have a white rump, above and below, which is obvious in flight. 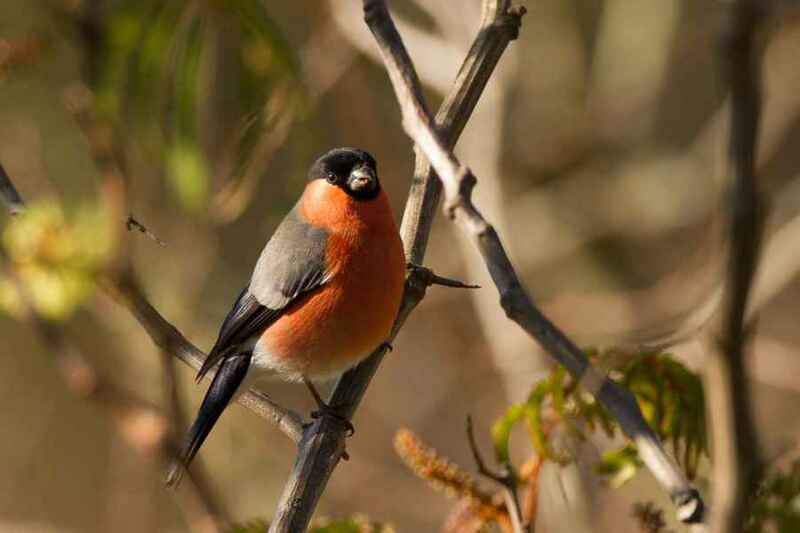 They feed on small seeds and shoots of fruit trees and are therefore not overly-welcomed by fruit farmers ... Their call is a weak and soft one, and is easily overlooked, but they used to be kept as caged song birds in the 19th century for they have an incredible ability to not only memorise a tune but to perfect it.